With Readly you can read Clay Shooting Presents and thousands of other magazines on your tablet and smartphone. Get access to all with just one subscription. New releases and back issues – all included. Clay Shooting presents Shotguns and Ammunition is loaded with an A-Z of every competition gunmaker and cartridge manufacturer in the world, reviews of shotguns and cartridges, plus guides to buying brand new or second-hand gear. 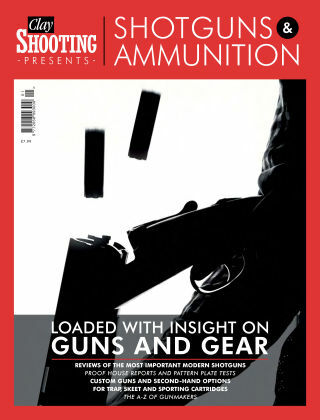 It covers shotgun basics and technical tests, and Clay Shooting magazine’s expert panel of contributors is firing on all cylinders to ensure there is something for everybody in this one-off bookazine, including how to pick the right gear for your discipline, the process of custom gunmaking and why chokes make the difference on certain targets.